Sadly, I come from a generation wherein spanking, reprimanding by way of shouting, are accepted ways of disciplining one’s child. A generation which always say, “Anak lang kita. Wala kang karapatang sumagot”! My parents have one way or another, spanked me with the “tsinelas” or with their hands... at times, they threw things at me, during the height of their anger. I am not saying I am a perfect child. There are times when I am mischievous, hard headed, stubborn, and I knew I deserve some degree of disciplining. But now that I am a parent, the question pops into my mind. Is spanking, or any form of corporal punishment, be it physical, emotional or psychological, the ideal way to discipline a child? The answer I learned.... is a big NO! Teaching children and correcting their mistakes does not mean inflicting pain. Because simply put... LOVE DOES NOT HURT. I am equally guilty as my parents were. A few years back, working in TV production wherein I spent so many stressful, tiring, sleepless days at the office, the last thing that I want to see when I get home, is a crying toddler. 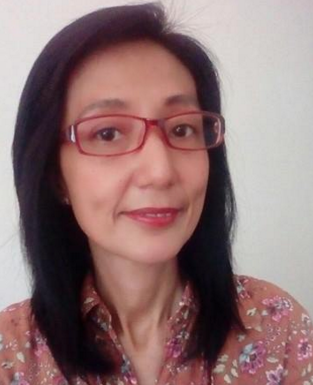 Sometimes, because my body is weak and my brain is not functioning well because of sleep deprivation, I reacted to my crying child either by shouting, or spanking with my hands. Looking back, I knew I did poorly as a mother. I have tried to control my temper as my children grew. Instead of shouting, I tried my very best to talk to them in a calm way. I tried not to meet their outbursts head on. Now my children are in their teens already. If I have the chance to travel back in time and revise my parenting techniques – I would stick to POSITIVE DISCIPLINE. 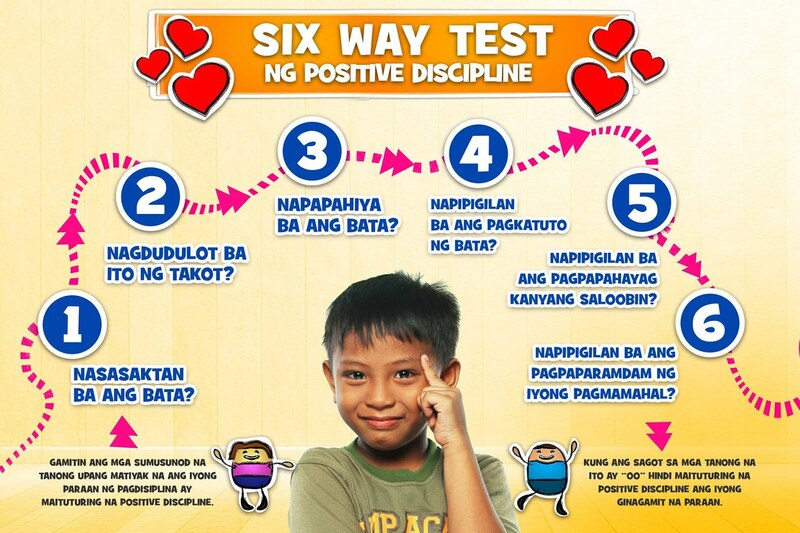 What exactly is POSITIVE DISCIPLINE? It is a non violent, rights-based approach in teaching and disciplining children. It recognizes the child’s evolving capacities to understand, learn and define his/her character and personality and promotes respect for the child’s dignity and individuality. It also recognizes the importance of the participation of the child in the discipline process, guiding him/her towards proper values and behavior in the long run. Grounded on love and respect and devoid of any form of violence, POSITIVE DISCIPLINE teaches and guides children through their growing up years while recognizing that they, too have rights – to survival, development, protection and participation. As children live through various development stages, they develop self-esteem, self-respect, self-discipline, responsibility, appropriate thinking and behavior. It is the primary responsibility of parents and adults to discipline and guide them towards distinguishing right from wrong. 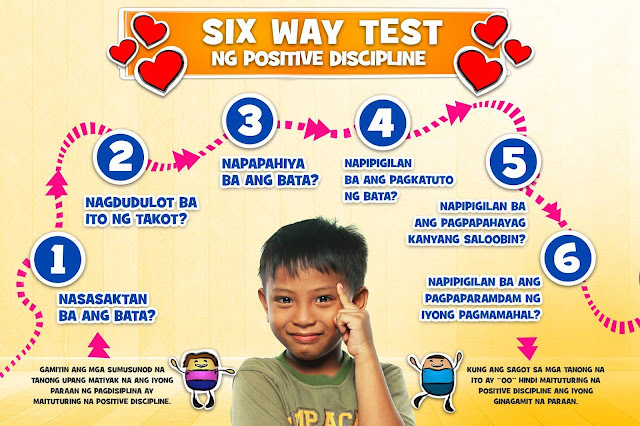 POSITIVE DISCIPLINE does not begin only when children do wrong, rather, it is integrated in everyday communication between the adult and the child. It is not an easy task for parents, but it must be done. Because if you start it late in your child’s life, it is more difficult to instill. 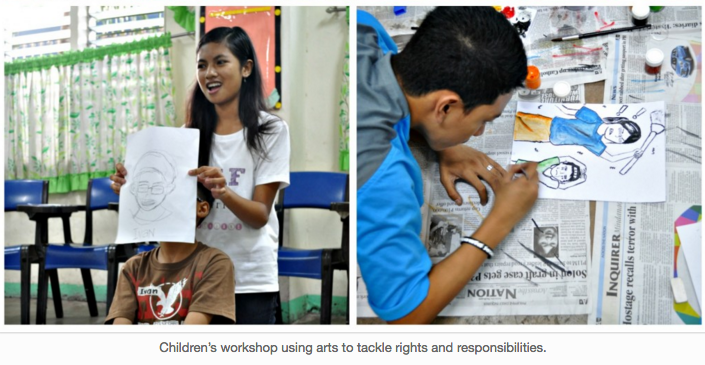 PETA ARTS (Advocate Right to Safety) Zone Project for Children is an advocacy campaign that champions children’s rights. It promotes a culture of respect for the dignity of children and upholds their right to protection from all forms of violence. This is done through art and creative interventions. ARTS Zone Project for Children also emphasizes the child’s participation and empowerment to change his/her life for the better. *Rated:PG presents practices and pre-conceptions, and encourages viewers to reflect and discuss how they raise children at home and in schools. 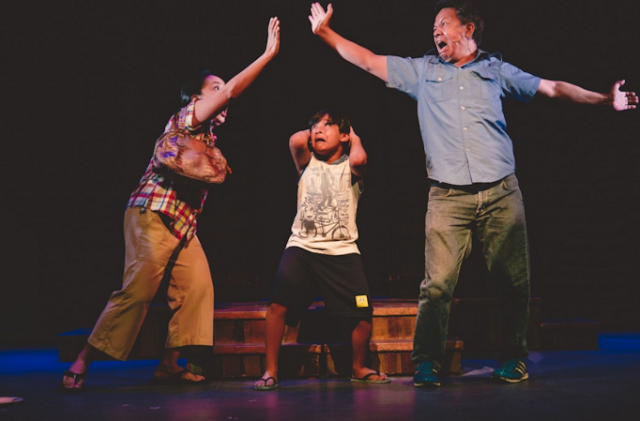 The play was performed in various schools and communities. 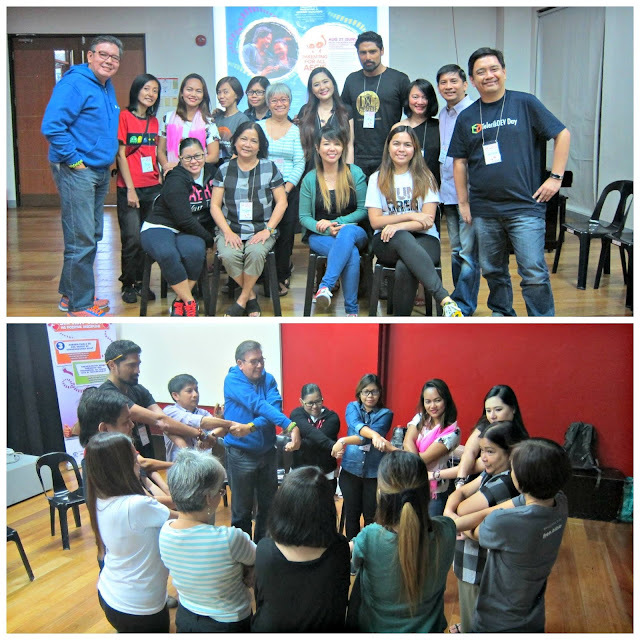 PETA (Philippine Educational Theater Association) spearheads the campaign by mobilizing various sectors, communities and organizations in harnessing arts and creativity for children’s rights and for child protection work. PETA ARTS Zone Project uses a three-prong strategy with the following features: performance, creative/integrated arts workshops and local action initiatives. The strategy engages hundreds of children, teachers and parents and community and faith-based organizations, resulting to partnerships forged with schools, barangays, non-government organizations and local government units. Love and affection cannot be manifested through hurt and abuse. We must not confuse discipline with pain. As we safeguard children’s right to be protected from any form of violence and abuse, we sum up the project’s message in a way that is understood by all: Love does not hurt.